Drive a top-of-the-line four-wheel drive Jeep Wrangler with upgraded modified lift kits on your own self-guided tour. Freedom on the many scenic and rugged area off-road trails is THE best way to experience the excitement and beauty of Arizona's Red Rock Country. 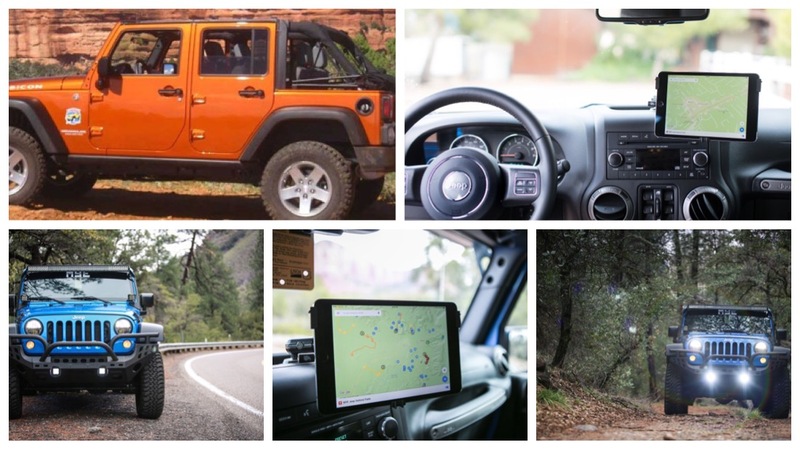 You can drive a new Jeep Wrangler for a half-day through Sedona’s off-road jeep trails for less money than taking a two-hour Jeep tour for two people. Our Jeeps seat up to 5, so families can really save! Enjoy a private and custom fun-filled day exploring Sedona’s backcountry on the many dirt roads located here. Go where you want, stop when you want, and explore at your own pace. Maps are provided when you pick up the Jeep. Available seven days a week. We're offering up to a 50% discount for a 4X4 Jeep Wrangler rental in Sedona for extended multiple day rentals. You must call us directly at (928) 649-3090 to receive this special discount offer. You must call us directly at (928) 649-3090 to receive this special discount offer for an extended multiple-day rental.